Support for Students Growth Center and is the Primary Facilitator.Dr. Eric Nach has nearly 25 years experience working with children with special needs and their families. Dr. Nach is the CEO and primary facilitator of the “Support For The Autism Spectrum Group Inc.” dba “Support for Students Growth Center” located in Boca Raton, FL. At the “learning and counseling center” he and his team of professionals provide *Therapeutic Social Skills Groups, *Learning Strategies and Organizational Strategies Groups, *Behavior Modification Programs, *Individual and Family Coaching and Counseling, *Therapeutic Summer/Winter Camps and *Post-Transitioning Groups for people with special needs, including Autism Spectrum Disorders, Learning Disabilities, Communication Challenges, Behavioral Disorders and Varying Exceptionalities. 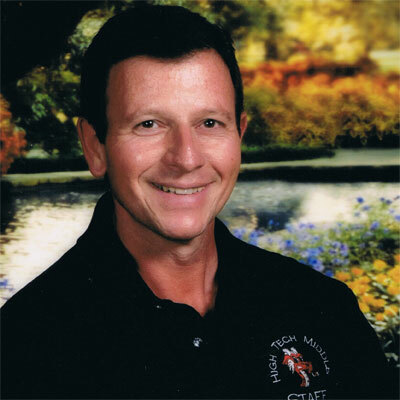 After spending 7 years as a “milieu therapist” in multiple psychiatric hospitals with children, teens, and young adults, his experience continued to include18 years as a Special Education Department Chairperson and teacher with the Palm Beach County School District. He is credited with creating and teaching Autism Endorsement courses at Lynn University as an adjunct professor. He is a national speaker on topics such as; “Improving Behavior and Social Skills in Children and Adolescents with Perceptual Differences” and “Promoting Behavioral, Academic, and Social Success for Students with High Functioning Autism. Overview, Intervention, and Strategies” to professionals in the field. Dr. Nach is also a professional consultant with FAU High School and multiple private schools in the South Florida area in addition to being a “consultant/advocate” for families at IEP/504 meetings and school district meetings. Dr Nach is in the final stages of publishing a book to assist parents, educators, administrators, and other professionals to be successful in educating, training and counseling children and adolescents with ASD’s as they navigate the secondary school maze. Dr. Nach and his wife, Paula, who manages the “center” are the proud parents of a Golden Doodle puppy named Daisy, who is being trained to become a “certified therapy dog” to help their clients with anxiety, anger, and depression become open to the “therapies” provided by Dr. Nach and his team of professionals in their “center”. significant experience, developing and implementing educational curriculum both for mainstream and special need students. Dr.Hirschfield served a variety of student populations including students with ADHD, Autistic Spectrum Disorders, and Specific Learning Difficulties. She has worked as a teacher and administrator both in the public and private school settings. she has completed her endorsement in the areas of both Gifted and Autistim Spectrum Disorder. She designed Individual Education Plans, wrote Functional Behavior Intervention Plans and taught social skills along with grade level and modified curriculum. For 12 years as an administrator she mentored teachers on teaching and modeling appropriate communication, behavior and social skills to children with ASD, HFA, PDD-NOS, and Asperger’s. She has training and experience consulting with families, teachers and caregivers on the needs associated with Autism and related disorders in order to offer instruction and strategies for teaching and implementing educational materials and methods. Currently Dr.Hirschfield works as an Educational Consultant, and assists families in making appropriate educational choices and decisions for their children. She successfully collaborates with local psychologists, teachers and a multi-disciplinary team to assist in meeting children’s needs and goals within their academic, community and home environment. She continues to work with children and their families: teaching, advising, liaising and supporting positive change and development in their lives. The Support For Students Growth Center, is privileged to have Dr Hirshfield as a part of our TEAM. Doctor DeCoeur is a lifelong learner with over 25 years as a special education teacher. In her quest to make the most of her life while being of service to others, she earned her doctorate degree in 2007 in studies of a philosophical nature. She has spent 10 years as a special education early childhood teacher and advocate for children and their families needing special education services. Dr DeCoeur has spent more than 12 years as an ESE specialist with Broward County Schools and had the privilege of working closely with children and families of children on the autism spectrum. As an ESE specialist she spent a great deal of her day going into inclusion classrooms and helping other professional’s create and implement interventions to use with our children on the spectrum. Dr. DeCoeur spent 3 years as the primary teacher in an autistic cluster site working directly with students, professionals and other teachers at Orange Brook Elementary School in Broward County. The Support For Students Growth Center, considers itself very fortunate to have Dr DeCoeur as their third member to have doctoral degrees and decades of experience serving our children, their families and the community. Ms. Himsworth has a Masters in Special Education and has been working with students who have special needs for close to a decade. She has a passion for helping her students on the autism spectrum navigate the middle school world. She is currently teaching at “A” rated Don Estridge High Tech Middle School, which was just recently voted the 6th best middle school in the state of Florida. She teaches ESE Reading classes, as well as other supportive classes, working daily with students with autism, ADHD, language impairments, and learning disabilities. Ms. Himsworth teaches the children in her charge to be flexible and use their strengths to overcome their challenges and how to get the most out of life. She provides continuous, intensive, and multifaceted assistance to provide a structured, safe, and consistent environment for her students. Ms. Himsworth works closely with families to help prevent escalation of situations that cause difficulties and to provide opportunities for each child to reach his or her full potential. She also provides personalized individual and family services weekly to children and adolescent students on and off the autism spectrum. There is no doubt that Ms. Himsworth will be as much of an assett to the Support For Students Growth Center as she is to the students and families she works with on a daily basis. Ms. Thornburg became interested in teaching children with Autism and Special needs almost 20 years ago. She began by utilizing her Bachelors in Fine Arts at Baudhuin Oral School-nova University Elementary School (a specialized school for young children on the autism spectrum). She enjoyed finding that she was able to reach children at all cognitive, language, and social skill levels. 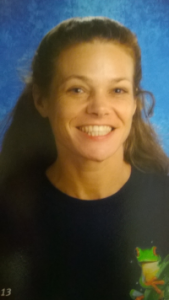 Ms. Thornburg earned her ESE degree as well as K-6 Professional Teachers Certifications, and has taught in the public school system in Broward County for the last 6 years. During that time, Ms. Thornburg has worked almost exclusively with students on the autism spectrum focusing on Social Skills in the school, social, and home environments. 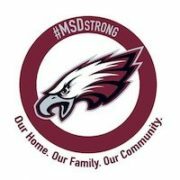 Ms. Thornburg’s background also includes additional training in behavior management, Varying Exceptionalities, social studies and science. Her ability to connect with individual children through having the gifts of patience and perseverance are well documented throughout Ms. Thornburg’s professional career. The skills set that Ms. Thornburg brings to the Support For Students Growth Center, will be another of many asset for the team and the children who’s lives she will continue to enhance. Mr. Iglesias recently graduated with honors from Lynn University. He has a Master’s degree in ESE with an Autism endorsement. He teaches at Royal Palm School, a specialized school specifically built and designed for children with special needs. His classroom is part of an Autism unit. He has volunteered and worked with students with ASD from all ages and levels of function. Many of his students also have other learning challenges such as ADHD, ADD, speech impairments, DD, and IND. He has been able to earn the respect and adoration of his students by providing structure, making learning fun, encouraging open communication, and treating them with dignity, respect, patience and understanding. As a teacher, he works to improve social skills, build self-confidence, improve academic performance, develop learning goals and IEPs, and collaborates as a part of an educational team to include, but, not limited to: Speech and Language Pathologists, ESE teachers, general education teachers, administrators, parents and other community members. Mr. Iglesias also strives to keep the lines of communication open with parents at all times and is always willing to discuss questions or concerns. We are extremely glad to have Mr. Iglesias as a part of the Support For Students Growth Center. Morgan Feilen graduated from the University of Central Florida in 2011 with a Bachelor of Science Degree in Elementary Education, and additional endorsements in Reading and Teaching English to Speakers of Other Languages (TESOL). She is currently finishing up her Master’s Degree in Exceptional Student Education at Lynn University. Currently, Ms. Feilen works with children with special needs, as a lead preschool teacher at Discovery Preschool at Bright Horizons. Parents report superior growth in their children’s behaviors and academics throughout the past year. Ms. Feilen collaborates with parents, therapists, and professionals to ensure the success of each of her students. Ms. Feilen has always had an interest in helping others grow to reach their highest potential. She has been focusing her efforts on working with children who have special needs, specifically children on the Autism Spectrum and with ADHD. She has worked with many children who have different abilities, while helping them to excel in many areas including: reading, writing, mathematics, social skills, behavior, and social and emotional skills. Ms. Feilen holds private one-on-one tutoring sessions with children who have a variety of special needs and abilities. Ms. Feilen has successfully facilitated behavior intervention programs, with students in her classrooms and in home settings. She spends a lot of her free time advocating for individuals with special needs. Morgan is a hardworking and dedicated individual, who is working towards making a significant impact in the lives of our future generation. The Support For Students Growth Center, is excited to have Ms. Feilen as a part of our team. Mrs. Gamelin has her degree in Exceptional Student Education (ESE) at Florida Atlantic University and has been teaching for six years. She works with students in a variety of settings, from one on one to small group to full class instruction. 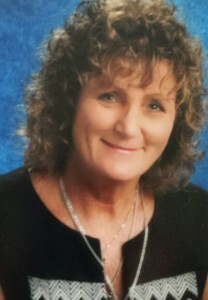 Since 2007, Mrs. Gamelin has been teaching at Don Estridge High Tech Middle School. Within that time she has taught ESE Reading, 6th Grade Social Studies and provided support to both ESE students and staff in the classroom. She has a true passion for teaching and working with students on the autism spectrum. She has been successful in assisting students with autism, ADHD, language impairments and learning disabilities adapt and succeed in Middle School. In 2012, Mrs. Gamelin was recognized as “Teacher of the Year” from the Boca Raton Rotary Club. As an educator, Mrs. Gamelin encourages students to be successful, lifelong learners. She has worked one on one with students on social skills, organization, study skills and various social skills. She empowers students in making the transition from elementary school to middle school by implementing strategies both socially and academically. Mrs. Gamelin works closely with students, parents and faculty members in order to help students achieve success. Support For Students Growth Center, is thrilled to have Mrs. Gamelin as a part of our team. Mercedes has worked with many families with children diagnosed with Autism and ADHD/ADD in providing them with the right nutritional tools to improve their lifestyle performance, recuperate the nutritional status, to master mommy cooking skills, to include new foods to their kitchen, and to come up with menu ideas by taking in consideration everyone’s reality. Mercedes is not only a Dietitian but also a proud mom of 4, and it is her day to day full time job her best college to develop a better understanding of all the challenges that every single family might go through. Mercedes graduated from the Universidad Central de Venezuela in 2006 with a Bachelor of Nutrition and Dietetic Science. In her last year of her internship, she developed master skills to address nutrition problems in infant population. After she graduated, she worked for two years as a clinical dietitian in the Hospital de Clinical Caracas, one of the most important clinics in Venezuela. Part of her duties were to conduct nutritional assessment and provide nutrition support. Following that she started her private practice for over 8 years where she was part of an excellent health team formed by pediatricians, neurologist, OT, and speech therapist. Her main focus is to work with children diagnosed with Autism, ADHD/ADD, intoxicated with heavy metals, food sensitivities, and chronic GI issues to overcome all their symptoms. 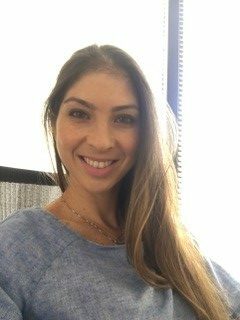 Mrs. Benadivas moved to Miami – Florida in 2014 where she spent three more years at Keiser University to get the bachelor degree in Nutrition and Dietetic Science and six months later she became a Registered Dietitian and Nutritionist (RD, LDN). In her last year of internship, she rotated from different hospitals and facilities to gain more experience and confidence in the clinical nutrition field. Since the food sensitivities and chronic GI issues are very common in this type of population, she became certified in the LEAP protocol.